Bayside Adventure Sports is glad to partner with Dolphin SCUBA to provide you with the instruction to experience a whole new world underwater. Check out the upcoming classes and sign up today! This 3-hour SCUBA Skills Update gets you back in the water to review your skills and get you ready to dive again! To enroll in a Open Water Diver course (or Junior Open Water Diver course), you must be 10 years old or older. (10 & 11 yr olds need private class). You need adequate swimming skills and need to be in good physical health. No prior experience with scuba diving is required. ​The goal of your instructor and the staff of Dolphin is not only to help you develop the knowledge and skills necessary to become autonomous competent divers, but also make your training safe, comfortable, and FUN! We need you to ensure that your class runs as smoothly as possible. The classes are performance based. Signing up for a class doesn't guarantee certification. Course performance requirements must be met. Part 1 is home study (Done before class meets), class and pool sessions. • Weeknight classes start at 6:30 pm and go until about 10 pm. Part 2 is the 4 Open Water dives done over 2 days. There are 3 venues for the dives varying with conditions and time of year. You must complete parts 1 and 2 to get certified. You will need to own your own Mask, Snorkel, Fins, Neoprene Boots, Underwater Compass, Whistle and Alternate Air Source Retainer. We have a great selection of equipment with great prices with student and package discounts. Expect to pay from $150 to $300 for a set-up. 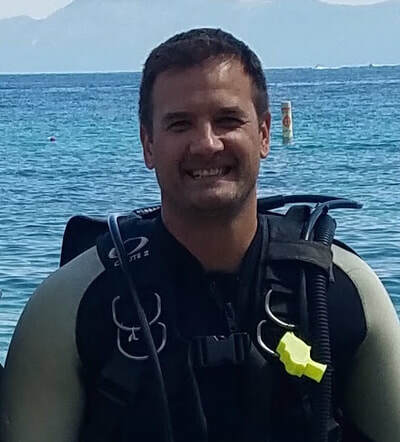 Scuba Equipment needed for Open Water Dives is available for Rental or Purchase, you will need to have a Regulator with Computer, Buoyancy Compensator, Tanks (2 for Ocean, 4 for lake), Wetsuit, Hood, Gloves and Weight. While you are enrolled in any class at Dolphin you will receive a special student rate for rentals. Medical Requirements: Please review the medical release in your student record file. If you answer “yes” to any question, you MUST have a signed physician's release prior to starting the class. Forms are provided. SCUBA Refresher Course: A 3-hour refresher of your scuba skills to get you ready for our next dive adventure. Saturday, April 13 from 9am-12pm at Dolphin Scuba Center. Classroom and Pool: April 15, 17, 22, and 24. 6:30-9:30pm at Dolphin Scuba Center. All 4 nights required. Open Water checkout dives to follow on weekend.